It’s said that the quarterback is the toughest position to play in sports—and the guys on this list give you a good idea why. Most of them had the tools to succeed in the NFL: height, cannon arms, even speed, but something—bad coaching, contract holdouts, just being dumb as a bag of rocks—held them back. A football team is usually only as good as its quarterback, and, with a few notable exceptions, these quarterbacks' teams weren't very good. 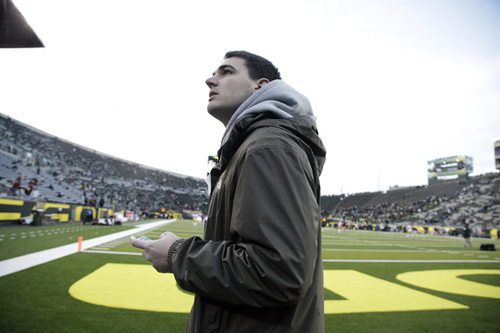 If you're a longtime NFL fan, chances are a few of these guys have broken your heart already. 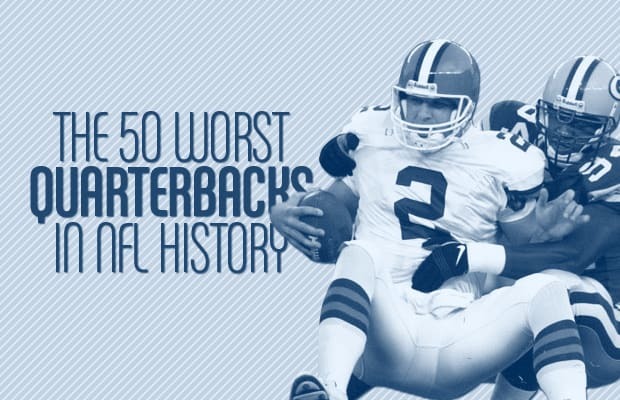 So, in light of a number of quarterbacks who will likely get benched in the coming weeks (we see you Mr. 5.1 QB rating Brandon Weeden), check out the 50 Worst Quarterbacks* in NFL History. *Minimum 8 starts. So Andre Ware, Dan McGwire, and Kim McQuilken can rest easy. You were such failures they wouldn't even let you fail any more!